Smog Check inspections monitor vehicle emissions and determine whether they are in excess of an acceptable environmental safety standard. Smog Check programs are part of a commitment towards maintaining and improving air quality. 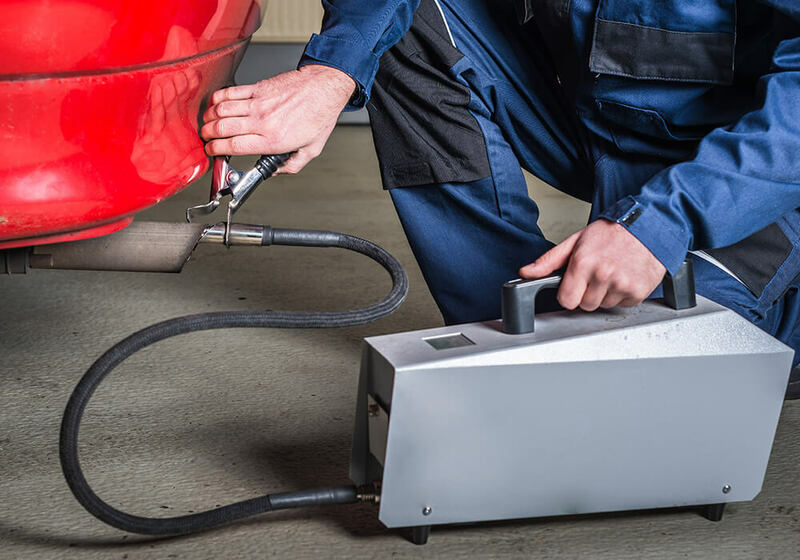 As a certified Smog Test and Repair center, Castros Automotive Service LLC is authorized to perform Smog checks that meet the standards required for vehicle registration. How Often Do I Need a Smog Test? Smog Checks are now mandatory when renewing the registration for your vehicle. Once a Smog Certificate has been issued, you may officially register your vehicle within 90 days after passing a Smog Check. A smog check procedure ensures that your vehicle is not contributing to the smog in the air. In other words, it’s necessary for the greater good of the environment. Smog checking is a relatively quick process and only takes 20 to about 30 minutes. It’ll make sure your car isn’t releasing extra pollutant emissions and if it is, we’ll just fix the problem for you! Where Can I Get a Smog Test? The paperwork for some vehicles require testing exclusively at a STAR center testing station. If your registration documents do not mention the STAR program and you need a Smog Check performed, call Castros Automotive Service LLC today to schedule an appointment with one of our authorized technicians. What If My Vehicle Fails a Smog Test? Only a certified general auto mechanic can repair your vehicle if it has failed a Smog test inspection. Castros Automotive Service LLC mechanics are authorized to diagnose and repair any car, truck, or SUV in order to meet the standards required by the local DMV. So what do you do next? There are a variety of options to choose from when it comes to a vehicle that has failed a smog test. The first is to think things through and decide whether your automobile is worth repairing. If your car is on its last legs, and has been causing you to spend big bucks on tiny repairs, then it might be time to say goodbye. Retiring a vehicle is never easy to do, but if the expenses outweigh the results then you just might have to do that. If retiring your car is not an option, then you can have it repaired and retested by our licensed smog check repair technician. Is Any Vehicle Exempt From a Smog Inspection? Diesel powered 1997 year model or older with a Gross Vehicle Weight rating (GVWR) of more than 14,000 lbs. If you are in need of a professionally licensed smog test facility, then we are the company for you. Our reliable staff and impeccable service will leave you feeling happy and satisfied with the results. We are ready to help you with your automobile needs. Call us today for more information about East Brunswick Township Smog Testing.